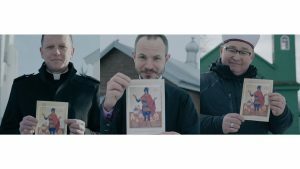 In Poland The Polish National Chamber of Chimney Sweeps and representatives of three religions – Orthodox, Catholic and Muslim took part in a campaign teaching people how to avoid carbon monoxide poisoning. The instruction represented part of a picture of Saint Florian and was distributed during pastoral visits in Polish homes. Every year in Poland carbon monoxide poisoning results in almost 100 deaths, and a further 2,000 persons are hospitalised. One of the main reasons is insufficient air circulation in homes. This is particularly critical during the heating period, when inefficient ventilation prevents replenishment of fresh air, and pollutants can lead to tragedies. “Our home is where we feel the safest. It is the one place where we have the impression that nothing is wrong, and that there is no threat. In order to avoid this false security, we must be aware of the risks involved with poisoning and we must be able to monitor them. By clogging the ventilation grilles or excessively sealing windows, we block air circulation. These conditions are conducive to the formation of carbon monoxide. When highly concentrated, it can kill in just three seconds,” says Mirosław Antos, Spokesperson for the National Chamber of Chimney Sweepers. Poland is a religious country with a strong tradition of pastoral visits. During the visit priests give away pictures of saints to guard their households from evil and threats, e.g. St Nicolas would keep you safe from robbers, St Christopher from car accidents. 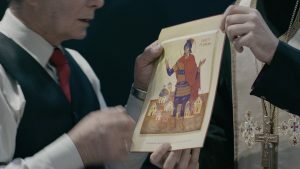 This year priests of different religions were handing out pictures of Saint Florian, the patron of firefighters and chimney-sweeps, masterfully created by Tamara Penwell, a painter of religious icons. The picture carried the instruction of how people can check ventilation system in their homes in a very simple and reliable way.In a campaign lasting over 14 months Grey Group Poland distributed almost 30 million instructions. Differences in pressure move the air and flowing air creates a draft in the vent. So, if you place a piece of paper, like the picture of Saint Florian, against a properly working vent inlet, it should stick. If it does not, it’s a sign that the vent is blocked, and you have to call for help. The image is also available for download from here. The website provides more information about how to protect yourself and your loved ones from carbon monoxide poisoning. Users can also set reminders via SMS to check home ventilation, which will send an automated message every three months.